This method is widely used in cosmetics and traditional medicine. Ozone therapy is able to treat the different diseases using modern techniques. For example, cellulite, acne, fatigue, lowered immunity. This modern technique is used in dermatology, obstetrics, ophthalmology, neuropathology, venereal disease, surgery, urology. It is widely used in all fields of medicine, as it gives stunning effects. It all has to do with ozone. The application of this method is harmless and painless, and most importantly enhances immunity. 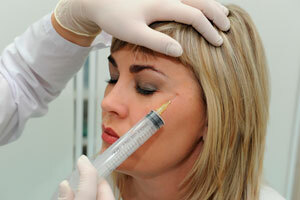 This procedure is performed intradermally. Arterial blood that is enriched by injection, enhances regenerative and protective properties of skin cells. It is even possible the breakdown of fat, if you apply the correct oxygen concentration. With the help of high-tech ozonator is such a procedure. It happens so ozonator takes oxygen from the ambient air, before it filters. Also it is able to monitor and calculate the concentration, depth, area of skin. There are several types of this therapy: saunas and baths ozone, lipokorrektsiya (vacuum massage), treatment of fungal infections of skin defects using liquid nitrogen, liposuction without surgery. This modern procedure is used if you have cellulite, oily skin, stretch marks, obesity, age-related changes, the dark circles under his eyes, visible blood vessels, stress skin, enlarged pores. There are also contraindications, as with all cosmetic procedures. It is a blood disease and infection, hematoma at injection, tumors of various kinds. The result of the procedure depends on the concentration of the all-powerful ozone. For each patient separately choose the composition and the dose depending on the type of procedure. From modern injection instant effect, which can be increased through additional sessions. And most importantly, all virtually painless.